Martyn’s career was medicine. He went from school to Barts, one of the great London teaching hospitals, and was brilliantly successful. He succeeded in his exams so young that he had to wait to take his MD, by which time he was already chief clinical assistant to Sir Thomas Horder, one of the best and most famous doctors of the day. By the age of 26 he also had his MRCP and was well up the rungs of the Harley Street ladder, with a brilliant and lucrative career in front of him. Then something happened. The press description of the solidly built two storey Manse as a ‘dock-side cottage’ did not go down very well with the office bearers. The local doctors were not too happy with the new arrival either. They felt certain that he had come to show them up and poach their patients. It could all have gone sour. But it didn’t. MLJ Late 1930s Dr. Lloyd-Jones was not another young minister fresh out of a liberal theological college, trimming his message to contemporary opinion and the prejudices of his congregation. He was determined to preach the message with the crystal clarity in which it had come to him. That was too much for some of the congregation and they left. But in their place – slowly at first- there came increasing numbers who were gripped by the truth, the working class of South Wales. The message brought them and the power of the Holy Spirit converted them. There were no dramatic appeals, just a young man with the clear message of God’s justice and his love, which brought one hard case after another to repentance and conversion. He was not able to throw off his medical career entirely. In the South Wales of Cronin’s The Citadel his brilliant diagnostic skill was in short supply. After a few years during which he was deliberately ignored by the local medical fraternity, he was called to a case which defied diagnosis. He knew exactly the nature of the obscure disease, from which the patient would apparently recover and then die. His prognosis was borne out exactly and the general practitioner said: ‘I should go down on my knees to ask your forgiveness for what I’ve said about you.’ After that it was difficult to keep down the medical calls on his time. The church in Aberavon grew with the steady stream of conversions. Notorious drunkards became glorious Christians and working men and women came to the Bible classes which he and his wife conducted to learn the doctrines of their new-found faith. And around South Wales, other churches, often starved of sound teaching and of preaching which dealt with the world as it was in the depth of the great slump, invited him to their pulpits. His reputation grew across the Principality – and outside. 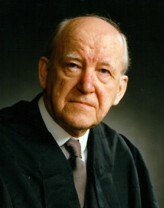 Campbell Morgan personified the evangelical tradition after Spurgeon. He was an Arminian and his Bible exposition, though famous, did not deal in the great doctrines of the Reformation. Martyn Lloyd-Jones was in the tradition of Spurgeon, Whitefield, the Puritans and the Reformers. Yet the two men respected each other’s positions and talents and their brief partnership, until Campbell Morgan died at the end of the war, was entirely happy. September 1938 saw the Munich crisis and a very uncertain future for the new ministry. For the next year the family lived with the Doctor’s widowed mother in Vincent Square and, when the war finally came, they moved to Haslemere in Surrey. But the services at Westminster Chapel went on, apart from a brief time in the Livingstone Hall, until in 1944 a flying bomb exploded on the Guards Chapel a few hundred yards away, covering the Westminster Chapel preacher and congregation in fine white dust. One member of the congregation opened her eyes after the bang, saw everyone covered in white and decided that she must be in heaven! London, the great metropolis, is a sink for provincial reputations. Great Scottish orators have come to nothing in the face of sharp London audiences. The bombing, the flying bombs and the difficulties of travel hit central London churches and the new minister’s style and message were not that of Dr. Campbell Morgan. But Dr. Lloyd-Jones’s preaching met a need and his reputation spread. For everyone who left the Chapel, someone else arrived, so that by the end of the war he had a firmly settled congregation and a well established position. On Friday nights, he continued his Aberavon practice of discussion classes; using the Socratic method, he made the members of the class work through the logic of their own confident assertions. He would try to bring out contrasting views, matching the proponents against each other, putting the objections and solutions no one had thought of, until finally he led the class to a conclusion with which few of them could by then disagree. He would himself confront the few who could stand it, leading them inexorably down their own false trail to the precipice at the bottom! Afterwards he would apologise and say: ‘I know that a lot of people hold the view you put, and I cannot be as brutal with them in public as I have been with you, but I know you are big enough to take it!’ In the early fifties the Friday night discussion had become too big and there was a demand for a straight Bible study, so in 1953 the Friday night Bible studies took over for a much larger audience in the main church. He began with a series on Biblical doctrine and then commenced the long study on Paul’s letter to the Romans which was subsequently published in book form. Both the British and the International movements have since grown greatly and both owe a great deal to his formative influence. He encouraged them to add to their pietism and evangelism a strong backbone of sound doctrinal teaching. To those who argued that ‘intellectualism’ detracted from evangelistic zeal, he pointed out that a sound basis of belief was the only sure foundation for evangelism. This change of emphasis was enormously important in the battle for the minds of students and in ensuring that IVF was not a passing student enthusiasm. He was utterly unimpressed by the theory of evolution well before scientists themselves had begun to express doubts. For that reason, he saw no need for a theory of ‘creative evolution’. Theology came first. What were we taught about the Creator in his own revelation to us? Theology must guide our attitude to science, not the other way round. As a distinguished physician, trained in medical science, and also a theologian, he could understand both theology and science and his views carried weight. The IVF increased in strength, while in course of time the once strong Student Christian Movement, with its liberal views, faded from sight. The conference influenced scores of young ministers each year and established a tough theological position in face of the rise of situational ethics and the general repudiation of authority by the clerical establishment in the fifties and sixties. The ‘Banner of Truth’ publishing house and The Evangelical Magazine were both started with help and encouragement from Martyn Lloyd-Jones, who also powerfully backed the work of the Evangelical Library. On a pastoral level, he led a monthly ministers’ fraternal since the early forties, when pastors discussed all the problems they faced both within the church and in its outreach. Here his ever widening experience, his profound wisdom and his down-to-earth common sense helped many a young minister with apparently unique and insoluble difficulties. He had always pointed to the combination in the Welsh Calvinistic Methodists of the doctrine of the Calvinists and the enthusiasm of the Methodists. In the sixties, he became anxious lest the newly recovered emphasis on sound reformed doctrine should turn into an arid doctrinaire hardness. To counteract this danger he began in his teaching to emphasise the importance of experience. He spoke much of the necessity for experimental knowledge of the Holy Spirit, of full assurance by the Spirit, and of the truth that God deals immediately and directly with his children – often illustrating these things from church history. MLJ Head Pic Early in 1968, in his 68th year, Dr. Lloyd-Jones had a major operation and, though he recovered fully, he decided that the time had come after 30 years at Westminster to retire as minister. His ministry had, on any reckoning, been greatly blessed by God. There had been a steady stream of conversions, many remarkable and, above all, a wide variety of people from all walks of life had been taught the breadth and depth of Christian doctrine. At the Chapel were soldiers from the nearby Wellington Barracks, workers from west-end hotels and restaurants, nurses from the big hospitals, the ‘Antioch club’ of actors and actresses from west-end theatres, civil servants junior and senior from Whitehall, and chronically unemployed coming in from the Salvation Army hostel. His last sermon, on June 8 1980 was preached in the church of a minister who had come to the Chapel as a newly-converted building labourer, as tough and sharp a young Cockney as you could find. Dr. Oliver Barclay, Douglas Johnson’s successor and General Secretary of IVF (now UCCF), used to attend the Chapel and also his successor Dr. Robin Wells. After much protest, he began to do some television. When Joan Bakewell on late evening TV said that she was surprised that anyone listened today to such old-fashioned views, he said, ‘They may be old-fashioned, but they can still fill the Free Trade Hall in Manchester. Tell me a modern politician who can do that.’ Wherever he went, he filled the halls and churches. He believed that, even in a secular age, people respond to the uncompromising truth, – a view which was confirmed as he saw the liberal churches emptying and the evangelicals maintaining their cause. He travelled to Europe and the United States again, but refused new and return invitations to other countries. Towards the end of February 1981, with great peace and assured hope, he believed that his earthly work was done. To his immediate family he said: ‘Don’t pray for healing, don’t try to hold me back from the glory.’ On March 1st, St. David’s Day and the Lord’s Day – he passed on to the glory on which he had so often preached to meet the Saviour he had so faithfully proclaimed.